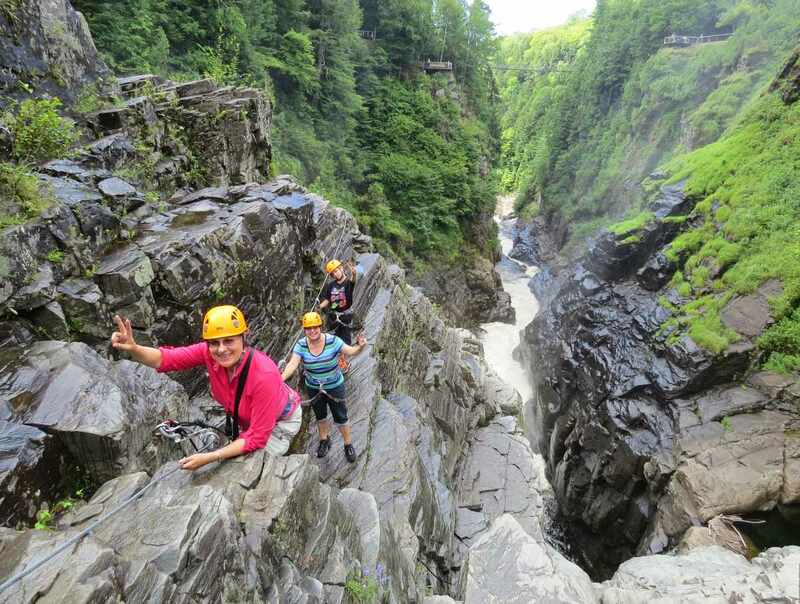 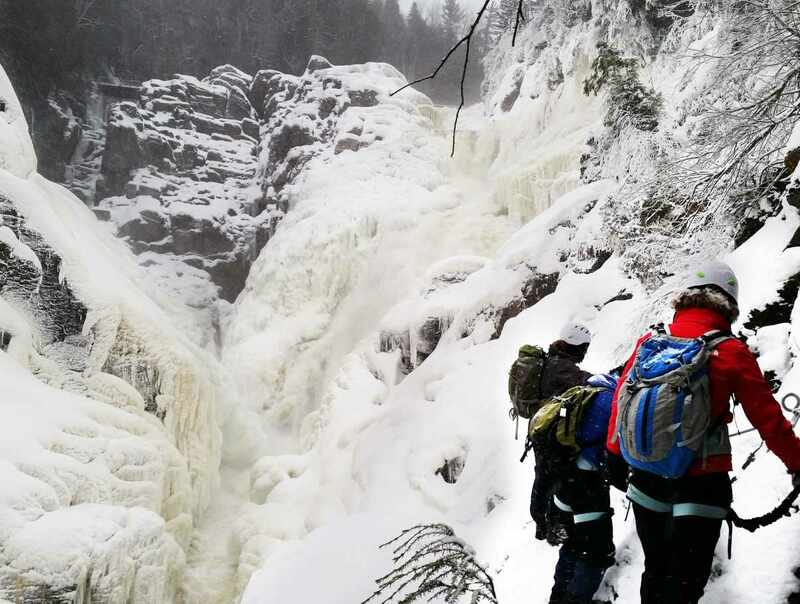 An impressive canyon carved by the powerful 74-m (243') Sainte-Anne Falls (higher than Niagara Falls) that can be explored by via ferrata, the safest rock climbing system on the market! 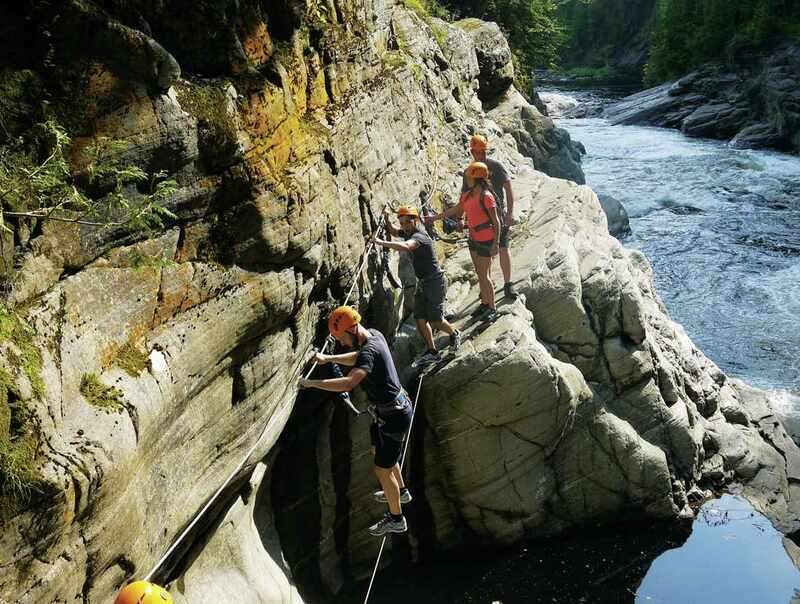 An exhilarating adventure in which you travel along by clinging to the continental bedrock. 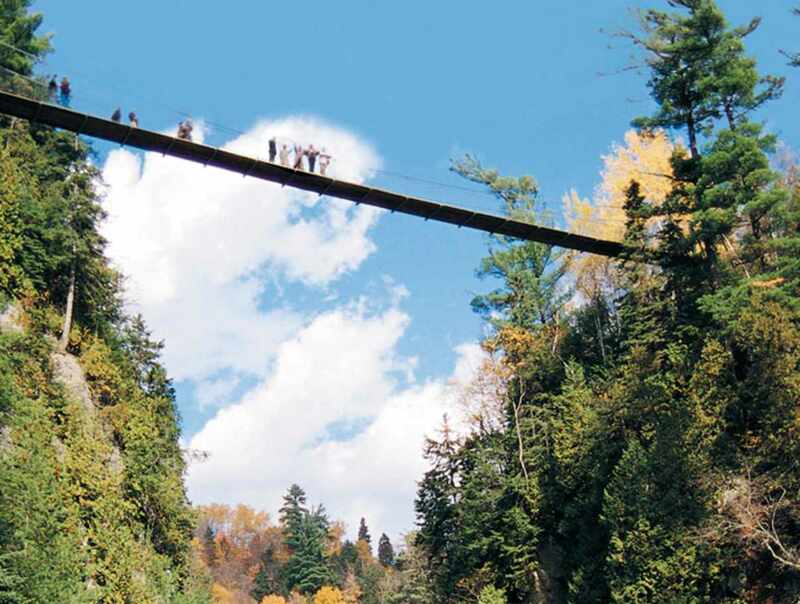 The Giant's Cauldron is our family package for beginners (ages 8 and up). 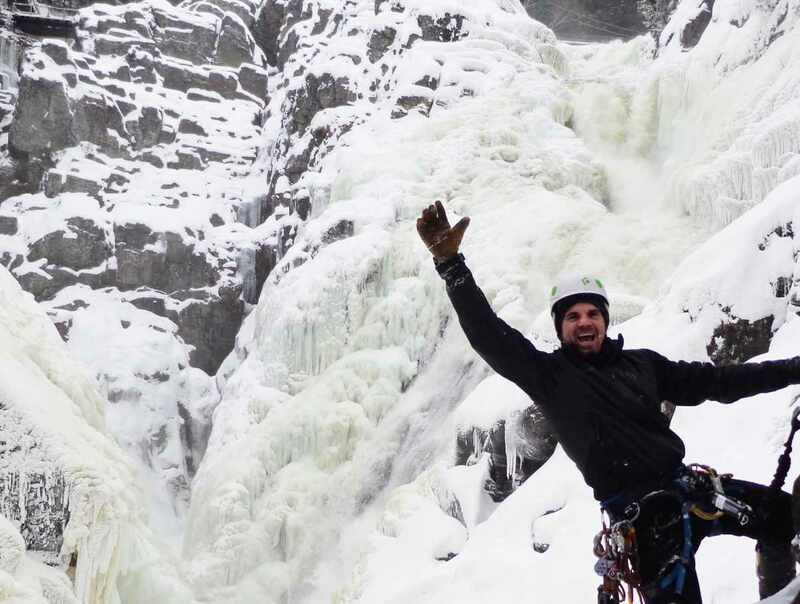 A Canadian first in 2016: wintertime via ferrata! 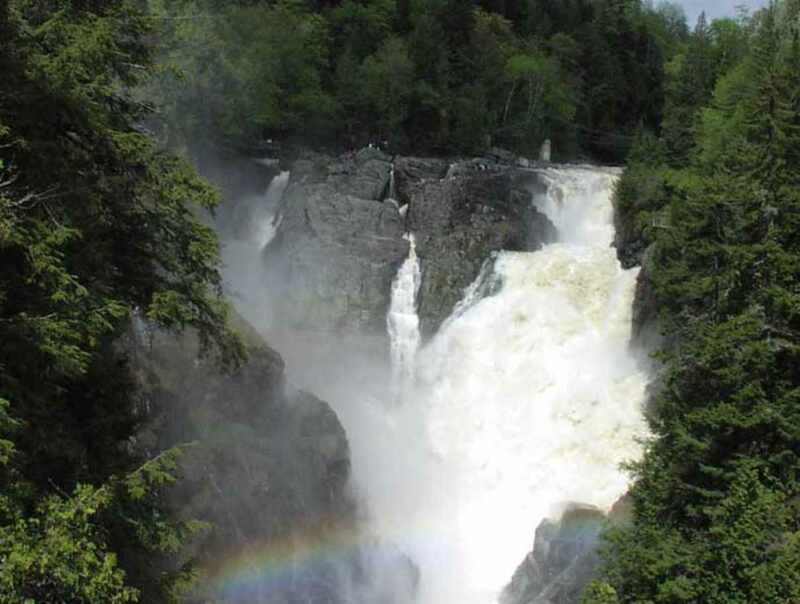 Hours: 2019: May 11 to June 23 and September 2 to October 20, 9 a.m. to 5 p.m. June 24 to September 1, 9 a.m. to 6 p.m. Last admission in the park one hour before closing.